It started with a dream – a glorious vision to create an ambience conducive to creative learning. An innovative direction towards providing Global education with its feet firmly grounded in the Indian soil. A humble endeavour to touch the grandest heights of excellence in Education. A school with a difference! A school that became a trendsetter in the quality of facilities and its gamut of opportunities. 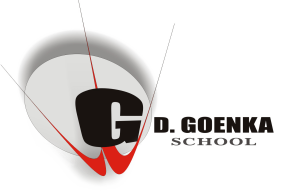 “ Established in 1994, G.D. Goenka Public School, Vasant Kunj, was the brainchild of Shri Anjani Kumar Goenka. He aimed to immortalize the name of his mother Shrimati Gayatri Devi Goenka and hoped to provide the students a sound education unheard of in the NCR before. His innovative mission reached the pinnacle of success due to the detailed execution of plans by Shrimati Renu Goenka. Her kindness and sensitivity worked in unison with Shri Anjani Kumar Goenkas’ ambitious enterprise, to give the school its present standard. In Bhiwadi, a franchisee has been established since March 2015. The school is in the first year of running. It adapts and customises to the needs of the location and takes the child forward towards complete readiness of the world. A complement of basic skills-linguistic, mathematical, scientific, artistic, physical and social. A set of spiritual and ethical values-honesty, righteousness, dignity, integrity, fairness, good judgement. Self reliance, strong self esteem, sense of self worth and high personal expectation. Tolerance for others and respect for all forms of life. An enquiring and discriminating mind and an unending quest for knowledge.